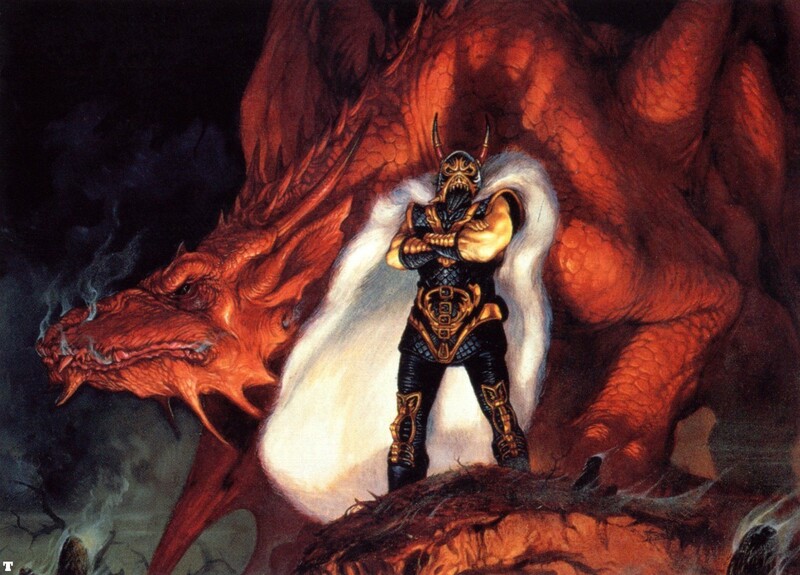 Speaking of Dragon highlords, this is one of the only depictions of Ariakas. 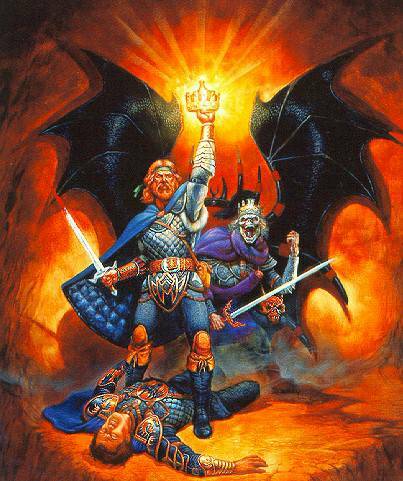 As a kid I had this poster hanging on my wall. Verminaard and Pyros are the first real villains we meet in the Chronicles. 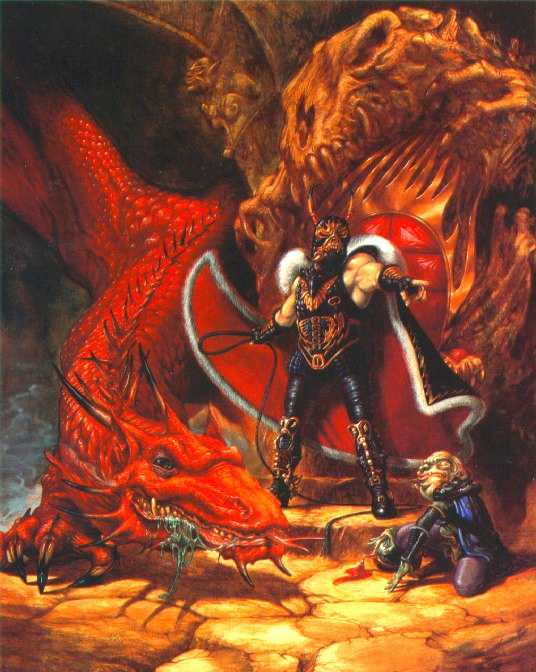 Jeff Easley did a couple of paintings that are just iconic. 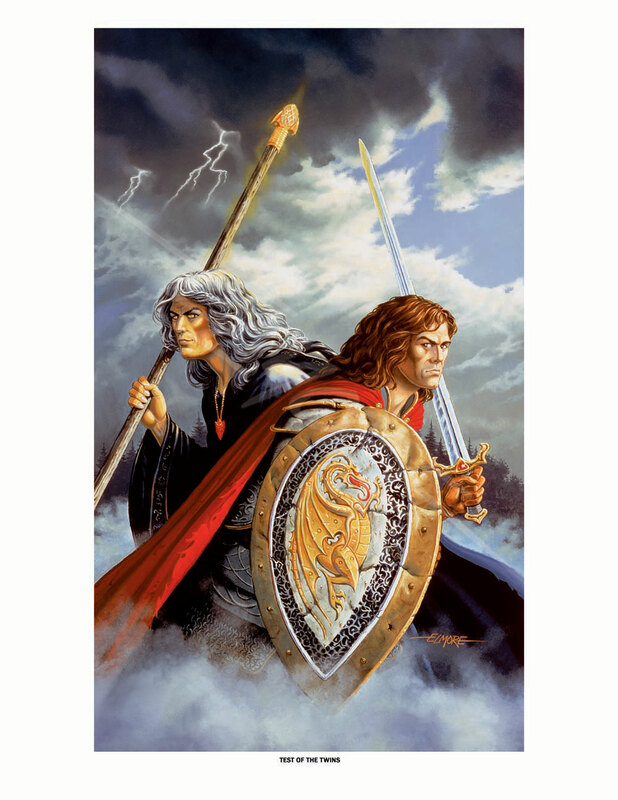 This is my absolute favorite depiction of Raistlin and Caramon. Elmore’s art defined how I thought the twins looked like.